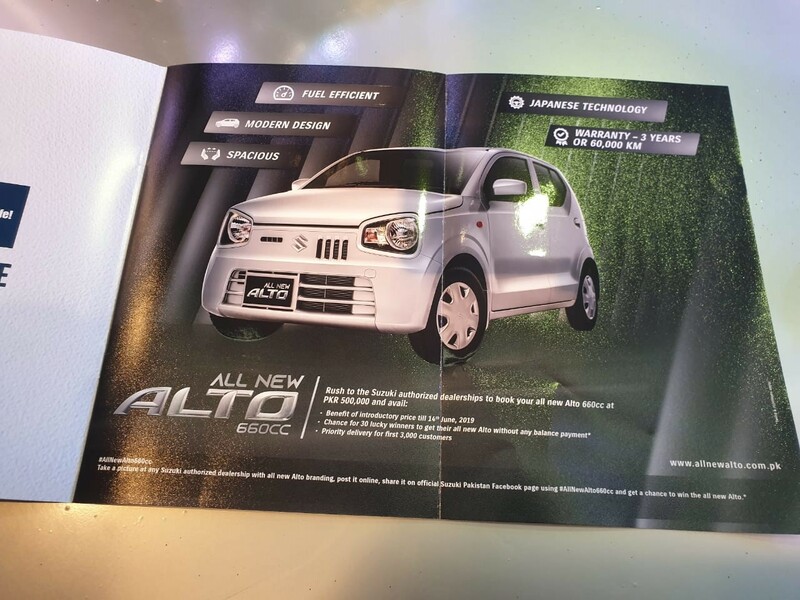 With the unveiling of Alto 660cc, Pak Suzuki has come up with an interesting offer to attract more customers to book the upcoming car that hasn’t even been launched yet. Suzuki Alto 660cc may definitely create an impact as the company has announced to waive balance payment for 30 lucky winners in balloting of first 3,000 customers. On Friday, the company unveiled Pakistan’s first locally-manufactured 660cc engine displacement car at the Pakistan Auto Parts Show (PAPS) 2019 organized by PAAPAM. Suzuki Alto 660cc is expected to be launched in June. ALSO READ: The all-new Suzuki Alto: Specs, features and expected price! 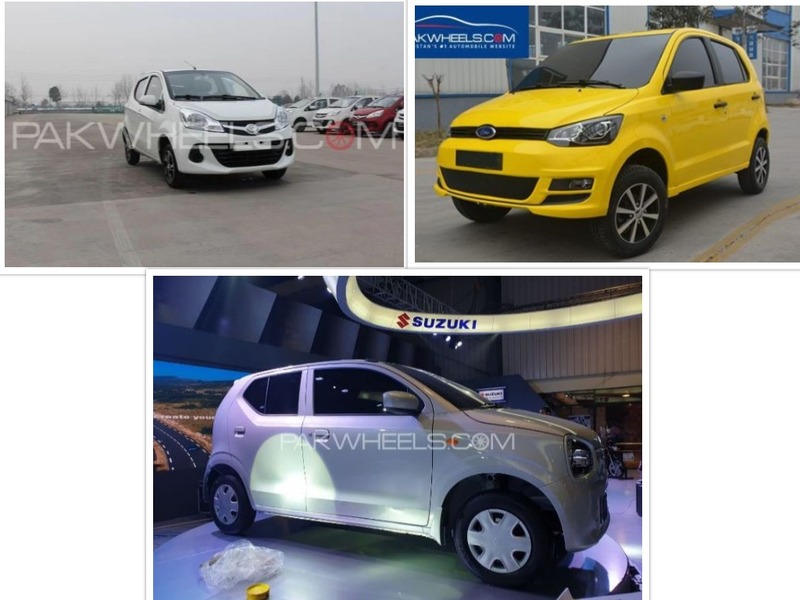 Pak Suzuki and its dealers say that there is a priority delivery for first 3,000 customers with an incentive of introductory price till 14th June, 2019. Interestingly, the first 3,000 customers will undergo balloting and 30 lucky winners will get a chance to have the 660cc hatchback without balance payment. Meanwhile, the company says it is providing a fuel efficient and spacious car with modern design. The company is offering a 3-year or 60,000km warranty. The booking of these Suzuki 660cc Alto 2019 variants has opened at PKR 5 lac with the full price yet to be announced. 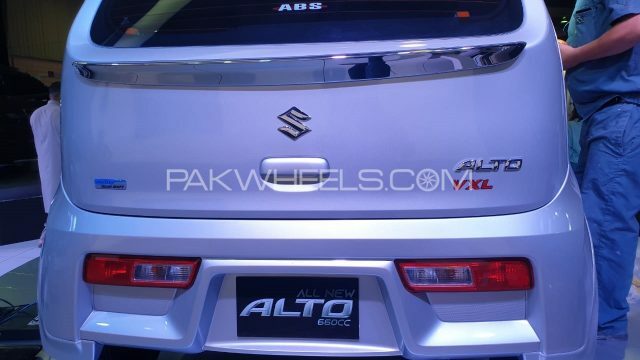 Pak Suzuki will reportedly launch the Alto variants in June 2019. Subsequently, the prices of Suzuki 660c Alto will be announced during the launch. As per estimates, the starting price of Suzuki Alto 2019 variants will be around Rs 9.65 lac and it may go up till Rs 12 lac. PakWheels reviewed the VXL model of Alto 2019 under display which has auto gear shift (AGS) and anti-lock braking system (ABS). This technology is already present in Suzuki Cultus. It also has two airbags. None of the Alto variants have alloy rims. The quality of doors, windows and interior in Alto VXL may resemble the top-of-the-line variants of Suzuki WagonR and Cultus. On the other hand, the VX variant of Alto 2019 is not expected to have AC, power steering, power windows and other features. The Suzuki Alto VXR variant will have AC, but other specs and features have not been confirmed.